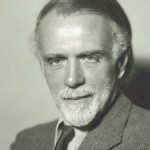 The British Kodály Academy promotes the advancement of British music education, following the teachings of Zoltán Kodály. The Kodály Approach – musicianship through singing – provides tools to develop fundamentals such as pulse, inner hearing, good tuning and sight reading ability. It’s said to be life-changing! Courses are available for everyone wanting to develop their own singing, musicianship and conducting skills, whilst teachers are helped to develop skills and confidence to deliver music lessons at all levels: Early Years, KS One, Two and beyond – to Higher Education and Instrumental teaching. The structured, sequential learning process is based on an understanding of how musical skills and concepts are absorbed through practical activity and singing, using appropriate repertoire – from simple children’s songs to complex art music. The British Kodály Academy was founded by Cecilia Vajda. Find out more about Cecilia here and also the Cecilia Vajda Memorial Scholarship which financially supports students attending the BKA Summer Schools. Now the BKA is ably run by our Board of Trustees and Education Planning Board with support from our members, esteemed tutors and distinguished patrons. To see other Kodály institutions and music education websites visit our links page.